What Is Act of Treason? The King is dead... murdered... His lineage wiped out. With no heir to take the Throne the Kingdom begins to splinter. Rumours spread that there is an Heir, a child born of a secret affair involving the Kings father. The child now grown, is hidden in plain sight among the members of the Court. The Royal Advisors of the King’s Court dare not trust one another - each one claiming they are loyal to the Kingdom. The Heir will be found with careful words and actions. Will the Heir survive to rule, or will they suffer their father’s fate? All will be revealed in a contest of social deception and intregue! Players take on the role of Royal Advisors tasked with running the Kingdom in the wake of the Kings death. The Royal Advisors must try to find and eliminate the Traitors in their midst before the Kingdom falls apart. Players will scheme, deceive and persuade in order to seek out and eliminate the Traitors and safely return the Kingdom to its rightful ruler, the Kings Heir. Act of Treason was inspired by games like Mafia, Werewolf and Battlestar Galactica. It takes many aspects of these games and seeks to amplify what makes these games so much fun - the deception, the intrigue, and the social interaction. If you can successfully deduce who is who, convince, deceive and persuade, then you'll be able to win every time. However, that task is much harder than it sounds! Becoming a game designer and creating a game that I can be proud of has always been a dream of mine. Act of Treason is a game I can most certainly be proud of. It has been a lot of work and time - over 6 years now - spent making Act of Treason the best game it can be. 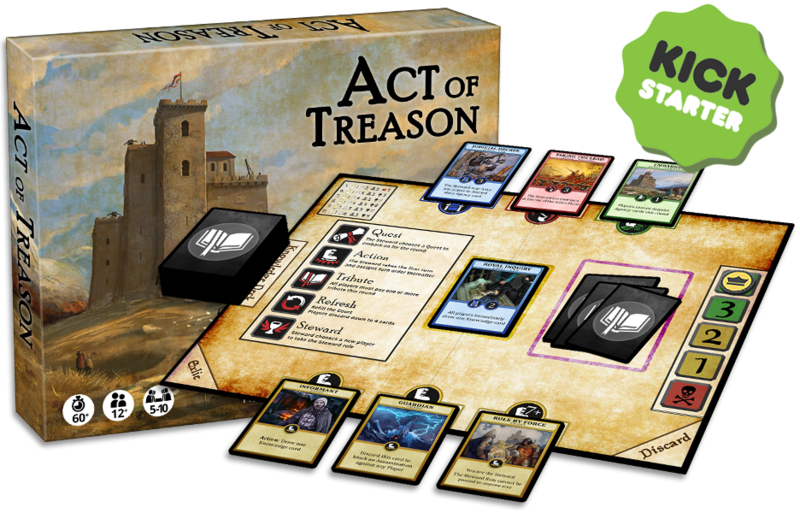 On the 10th of February 2018 I launched Act of Treason on Kickstarter. The campaign did not perform as well as I had expected. You can read more about this on my blog. But I've learned a lot from this experience. 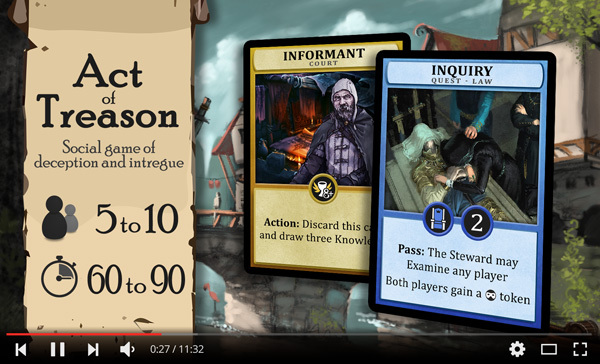 Act of Treason will return to Kickstarter better than ever before! Below I have listed the major steps to getting Act of Treason back on Kickstarter successfully. I will be prioritizing the mailing list before moving onto some of the other objectives. My main focus right now is to get at least 500 signups on the Kickstarter Mailing list. Feel free to sign up here. As part of signing up, you'll also receive the public beta playtest kit so that you can try out the game for yourself! If you'd like to help support Act of Treason, please be sure to tell your friends and follow us on Facebook and Twitter to stay up to date with all the latest developments. The more people we can get on board for the Kickstarter, the more resources we'll be able to devote towards a great product! Act of Treason will ship with a high quality rulebook included, but for your convenience and viewing pleasure, the official rules for Act of Treason are available below, online and mobile friendly. The diagrams and art used below are placeholders and are subject to change. Players take on the role of Royal Advisors tasked with running the Kingdom in the wake of the Kings death. The Advisors must try to root out the Traitors in their midst before the Kingdom falls apart, and return the Kingdom to its rightful ruler, the Kings Heir. There are two teams - the Loyals and the Traitors. Each player will receive a Loyalty card which determines which team they belong to. Loyalty is secret and players should not show their Loyalty card to anyone else. The round sequence displayed on the left of the game board shows the order of phases within a game round. The Kingdom Strength displayed on the right of the game board tracks the strength of the Kingdom. Place the Kingdom Strength on ‘4’ for the start of the game. The Steward is the temporary leader for each round. They choose the Quest to embark on, and the order in which people act during the action phase. Randomly determine the Steward for the first round and place the Steward Card face up in front of them. Shuffle the Knowledge cards ( ) and place them face down in the Knowledge Deck Area at the bottom left of the game board. Deal 4 Knowledge Cards from the top of the Knowledge Deck face down to each Player. At the top of the game board, place all nine Quest cards face up into their respective areas, Law ( ), Military ( ), and Commerce ( ). Each area will have 3 Quest cards. Ensure that the Quests are ordered so that the Quest numbered ‘1’ is on the top, and ‘3’ is on the bottom of each pile. Experienced players may wish to use Randomised Quests as described in the optional rules section. Shuffle the Court cards and distribute them into 3 equal decks of 6 cards each. In a game with 7 or less players, you will need to remove all cards with the ‘8+’ symbol, and create 2 piles of 6 cards instead. Place each deck face down in the Court at the bottom of the game board, and then turn the top card of each deck face up. Shuffle the designated number of Heir, Loyal and Traitor cards as referenced in the Players Table shown below, or on the top right of the game board. Deal one loyalty card face down to each player. Each player then looks at their Loyalty ensuring that no one else can see. In a 5 Player game there is no Treachery Setup. The Treachery Setup allows the Traitors to know who the other Traitors are so that they may better work together. All players including the Steward close their eyes. The Steward calls out the following: “Everyone close their eyes. Traitors, open your eyes. You have 5 seconds.” The Steward then waits five seconds. “Times up. Traitors close your eyes, everyone open your eyes.” All players, including the Steward, must follow these instructions. The Traitors will now know who is on their side, while the other players do not. Players should voice any concerns during the Treachery Setup and redo the setup of the game from step 4 if necessary. 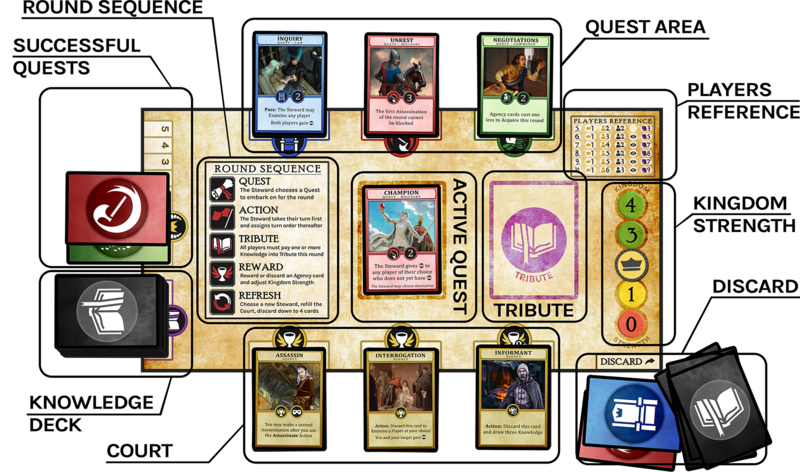 Act of Treason is played in rounds divided into 5 phases: Quest, Action, Tribute, Reward, and Refresh, as shown on the Round Sequence on the left hand side of the game board. 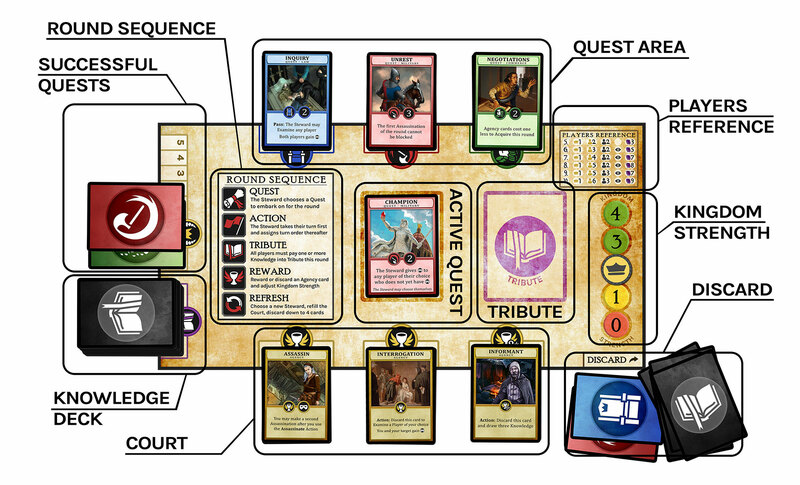 The Steward must choose 1 available Law ( ), Military ( ), or Commerce ( ) Quest from the Quest area at the top of the game board and place it face up in the Active Quest Area ( ) in the center of the game board. It is recommended that the Steward ask players which Knowledge they have in order to choose the Quest with the best chance of passing Tribute. Players are free to lie or answer however they wish. All Quests have an effect that comes into play as soon as it is picked by the Steward, or as specified by the card. If the Quest has the 'Pass' keyword then it will only come into effect if the Quest is successful during the Tribute phase. As soon as any Quest leaves the Active Quest Area during the Reward Phase it no longer provides its effect. All players take a turn during the Action Phase. The Steward takes their turn first and then decides which player will take their turn next. Once that player has concluded their turn the Steward chooses the next player to act. This format continues until all players have had a turn. At the start of their turn each player must draw two Knowledge cards from the top of the Knowledge deck. Players then have one Action and may choose to do any of the following: Pass ( ), Visit Court ( ), Use ( ), Assassinate ( ). Pass: A player may opt to Pass their Action this Round. It is often the best choice in early rounds to pass your turn. The Court cards are expensive and Assassinations too risky. Visit Court: A player may use their action to acquire a Court Card from Court. To do this, they must discard a number of Knowledge cards equal to the current Kingdom Strength and place these face down into the discard pile. Once the Court card has been obtained, the player places it down in front of them to indicate that they now own the Court card. A player may only own one Court card at any time. If a player already owns a Court card and gains a new Court card, then the old card must be placed into the discard pile. Cards in the Court and Quest areas of the Game Board stay face down until the Refresh Phase. A player may discard their Court card to block any Assassination attempt made against them. Use: Players may use their action on any Court card that has the 'Action' keyword. The effect will be listed on the card. For example, the Informant Court card lets players use their action to draw three Knowledge cards and then discard the Informant Court card. Cards without the Action keyword, do not require an action to use their effects. Assassinate: A player may spend their Action to attempt to eliminate any player of their choice. Naturally, the target will not want to be eliminated and may try to convince players of their innocence. If the assassinating player wishes to go ahead with the assassination they must confirm it by verbally announcing that they ‘lock-in’ their decision. Note that until the assassin ‘locks-in’ their decision, they are free to change their mind and all players are allowed to discuss freely. The assassin is able to announce their assassination and then immediately lock it in if they wish, which leaves their target with no opportunity to defend themselves. When the assassination has been locked-in it cannot be withdrawn. The target cannot talk and will be eliminated unless they can discard a Court card they own to block the assassination attempt. 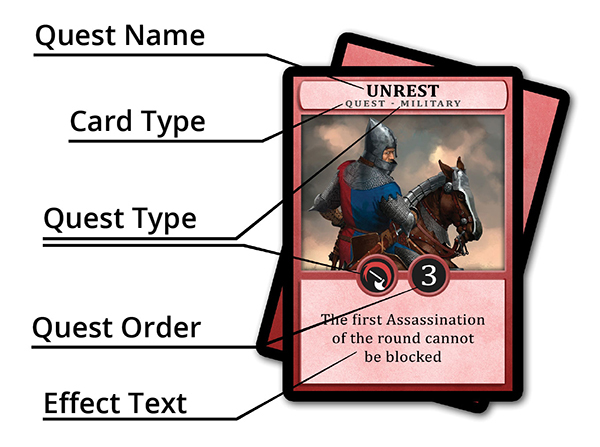 In addition, any other player can also save the target by discarding their Guardian or Royal Guard Court card, using the effect listed on the card: “Discard this card to block an assassination against any player“. If the Assassination is not blocked, then the target is eliminated from the game. Eliminated players never reveal their loyalty. They cannot be examined. They cannot talk, nor can they interact with the game. If the Steward is assassinated, the Steward Role is transfered to the Stewards assassin. While Kingdom Strength is on ‘4’ or ‘3’ Town Watch is in effect. This is shown by the green coloring on the ‘4’ and ‘3’ spaces of the Kingdom Strength on the right of the game board. Town Watch eliminates any player after they use the Assassination action whether successful or not, by hanging them in the town square. This cannot be blocked. Town Watch is disbanded when Kingdom Strength drops to ‘2’. If Town Watch kills the Steward, the Steward role is passed to the player to the left of the eliminated Steward. All players are required to place one or more Knowledge cards face down into the Tribute area on the right of the game board. If a player has no Knowledge cards in their hand, a Knowledge card from the top of the Knowledge Deck is placed face down into Tribute on their behalf by the Steward. Cards in the Tribute area cannot be touched or moved until all the Tribute is collected. After every player has paid Tribute, two additional Knowledge cards are placed into the Tribute pile from the top of the Knowledge deck. The Steward then shuffles the Tribute and reveals the contents face up. Shuffling Tribute is important to ensure players cannot work out which Knowledge cards players placed into Tribute. Compare the total to the Tribute required in the players table. If the total Tribute paid is more than or equal to the Tribute required, then the Quest passes. Otherwise it fails. The required Tribute does not change during the course of the game, even if players are eliminated. To complete the Tribute Phase the Steward discards all of the Knowledge from Tribute face down into the Discard pile. If the Active Quest Passes, the Steward may reward any one face up card in Court to any player other than themselves. If there are no face up cards in Court ( ) then the Steward cannot reward a Court card this round. The Steward then takes the Active Quest and places it in the Successful Quest Area. If the Active Quest Fails, then Kingdom Strength drops by one and the Steward must reveal and then discard the top card from each Court deck in Court regardless of whether they are face up or face down. The Steward then discards the Active Quest face down into the Discard pile. All players who have more than 4 knowledge cards in hand must discard down to 4. The Steward then takes any cards that are face down from the Quest or Court areas, at the top and bottom of the game board, and turns them face up. Face up cards are left untouched. The Steward then gives the Steward card to any player of their choice and the new player takes on the Steward role. A new round then begins with the Quest phase. Examinations allow a player to look at any players Loyalty card. 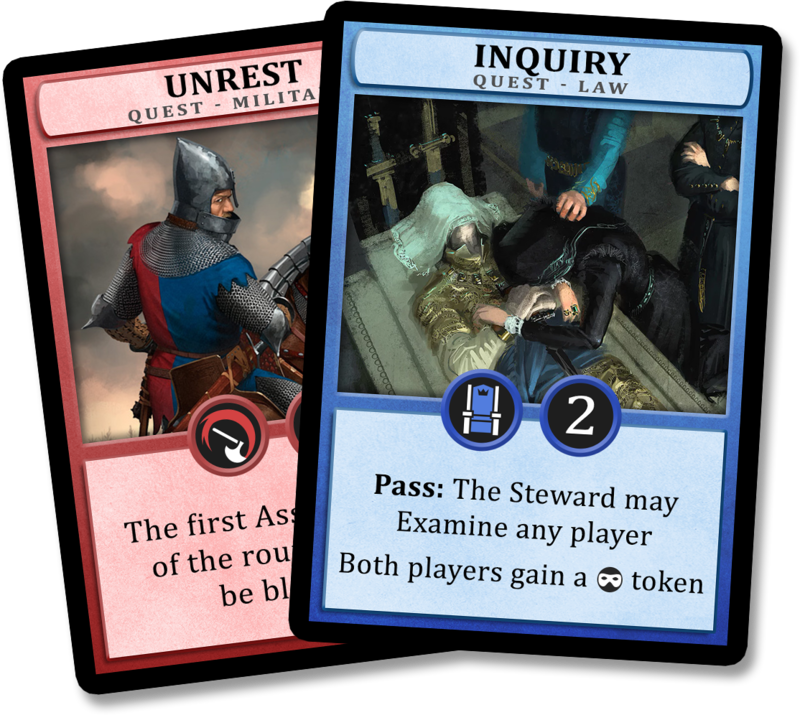 An Examination can be done by using the Interrogation Court card during the Action Phase, or by passing the Inquiry quest during the Tribute Phase. The examiner looks at the Loyalty card of the player that they wish to examine. The examiner needs to take care not to show the Loyalty card to any other player while the Examination is being performed. The Loyalty card is returned and then both players have the freedom to say whatever they wish. Following any Examination, both the Examiner and Examinee gain an Examination Protection Token as noted on the Interrogation or Inquiry card. This Token remains with both players for the rest of the game. Players with an Examination Protection Token can never be examined. 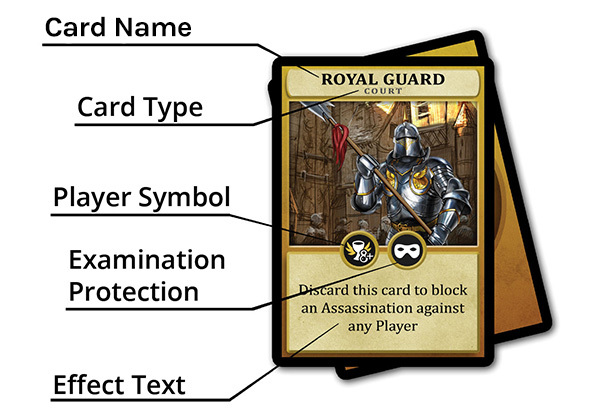 Court cards with the Examination Protection symbol ( ) such as Royal Guard, Spy, or Assassin also grant Examination Protection for players who own the card. If the Court card is lost however, then the Examination Protection granted by the card is lost along with it. Placing two cards into Tribute and then later declaring only 1 was placed. Declaring a player is Loyal after performing an examination, when they are in fact the Heir. The rules do not permit the use of dice, coins, eeny meeny miny moe, or any other randomiser to make any decisions. Using randomisers is an unfair advantage to the Loyals. The Players must make choices, and not rely on random chance. In games without a Treachery setup, Traitors do not know who the other Traitors are. Therefore it can be difficult to know when the game is won or lost. To overcome this, all eliminated players must show other eliminated players their loyalty card. Doing this allows Players to know when the game is over. Players must keep their Loyalty and Knowledge cards secret. Should Knowledge cards be revealed by accident, they must be discarded. If a loyalty card is revealed, that player should be eliminated from the game unless all players can agree that the game can continue without their elimination. 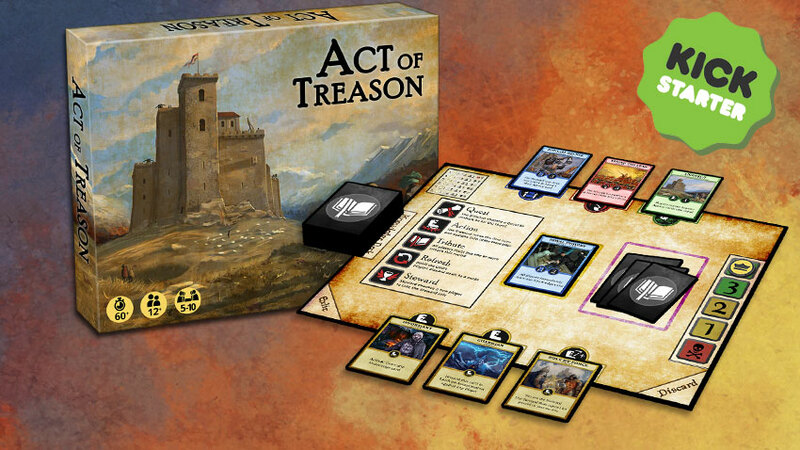 This covers the set rules required to play Act of Treason, what follows are optional rules, tips for new players, an FAQ, and detail explanations of certain cards. These sections are optional. Players sometimes acquire Court cards early in the game while they are at their most expensive. While this can work, it should perhaps be viewed as suspicious as it only helps that one player - not the kingdom. There is always the option to get Court Cards when they are rewarded for free or bought when they are cheaper. As Steward, it is advised that you discuss which type of Quest best suits the other players. Get an idea of which cards players have. This will give you and your companions the best chance of succeeding the chosen Quest. Some players might lie to you, but the majority will be telling you the truth. Who knows, you might be able to catch out a liar when they lose track of which cards they have. Placing too many negative cards into Tribute may give a Traitor away, or at the very least narrow down who the culprits are. Quests can be hard to pass, so feel free to experiment! Shuffle the Quest Cards and turn them face down during the setup. Be sure to turn the top card of all the Quest decks face up during the Refresh Phase. 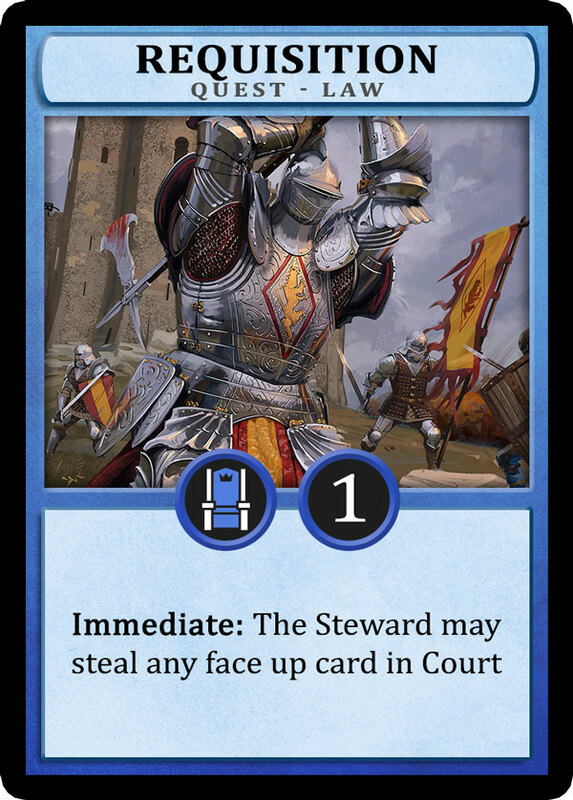 During the Quest Phase the steward may choose to take the Top card of any Law, Military, or Commerce Quest deck and place it on the bottom of the deck face down. The card now on the top of the Quest deck is revealed and becomes the Active Quest and placed in the Active Quest area. You may play Act of Treason without the Treachery Setup - even the Traitors will have no idea of who is who! This can work particularly well for an 8 player game. In this instance, reduce the required Tribute to 6 with 3 Traitors and 4 Loyals and 1 Heir instead of the usual setup. If the Quest passes, the Steward may choose to keep the Steward role instead of passing it to a new player. If the Quest fails, the Steward must pass the role to another player. Q. When do players pick up more Knowledge cards? A. During the Action Phase. "At the start of their turn each player must draw two Knowledge cards from the top of the Knowledge deck. Players then have one Action..." Please read the Phase 2 section Action Phase for the full description. Q. Can I really say whatever I want? What about sneaking an extra card into Tribute? A. As written in the Additional Rules section: "As long as the rules of the game are followed, players may say whatever they like". Therefore, it's entirely within the game rules to put cards into Tribute, and then lie about the number of cards later. You an lie before, lie after, lie during, Say you have totally different cards to what you have. As long as it is permitted by the game rules, you can do as you like. Q. Can two people pass the Steward back and forth? A. Absolutely. Act of Treason is ultimately a social game. While players can do this, it's not necessarily a great idea - it can earn you the ire of the group. I cover the rationale for allowing this mechanic in greater detail in part two of my design diary. Q. Can I really just assassinate anyone on my turn? I don't need a court card or anything? A. Absolutely! Every time any player has an action, they can spend it to assassinate any other player in the game. Yes this is powerful, but it is as intended - there can be big downsides to assassinating. 1) If Town watch is in effect and you'll be eliminated for even attempting an Assassination on your turn. 2) Someone might want to assassinate you back on behalf of who you just killed. 3) There is always the chance you could accidentally assassinate the Heir unintentionally. Q. My Question isn't here? A. More questions and answers will be added after people have had a chance to play the public release of Act of Treason. 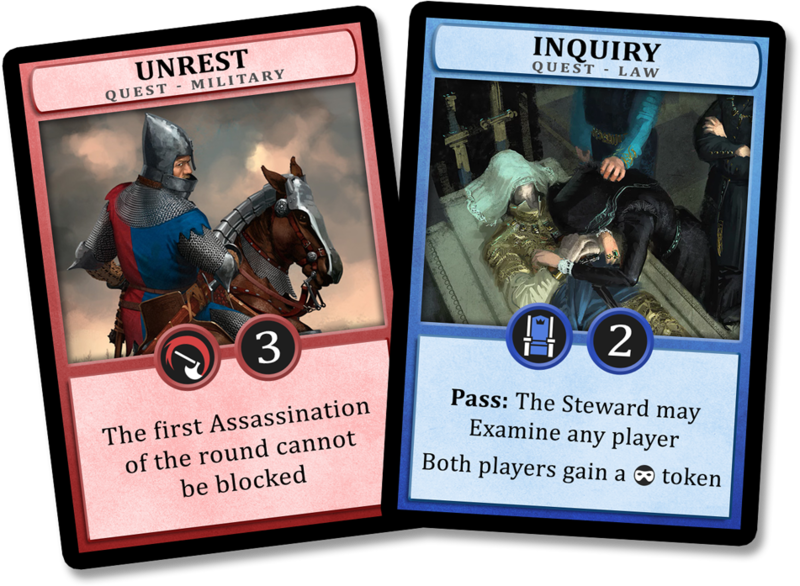 More cards will be added after Act of Treason is successfully launched on Kickstarter. Detail: Immediately after the Steward chooses this Quest as the Active Quest, the Steward may take any face up card from the Court at the bottom of the game board and place it in front of them. They now own this Court card. All the cards in Court should be face up due to the Refresh Phase. The Steward does not have to take a Court card if they do not wish to. Players may only own one Court card. If the Steward already owns a Court card then the old Court card is discarded and replaced with the new. I am the creator and designer of Act of Treason. I have always been passionate about game theory and design. 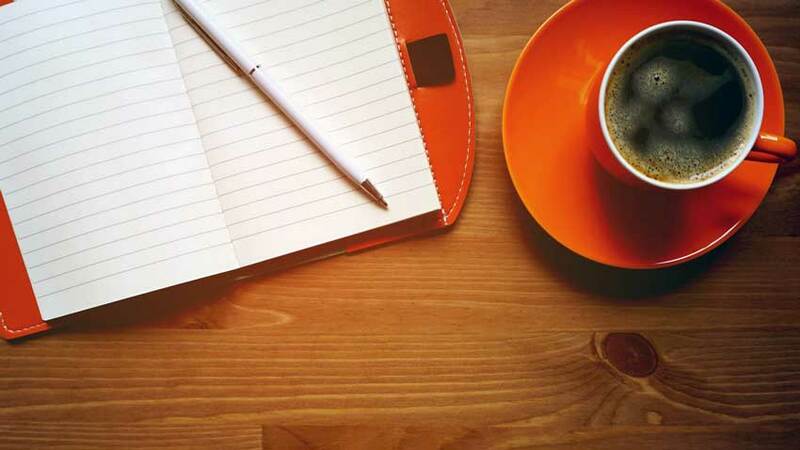 You can read my thoughts on game design in my Dominant Strategy articles on by blog. 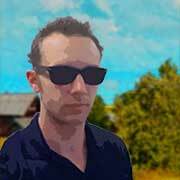 I also enjoy using Photoshop, AfterEffects & Premiere Pro, as well as coding in my spare time. I also like debating, logic and philosophy. 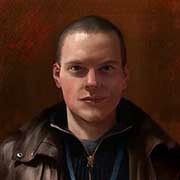 Simon has been a great asset to the Act of Treason crew. His assistance and advice have been excellent and it has been a pleasure working with him to create our Act of Treason videos. 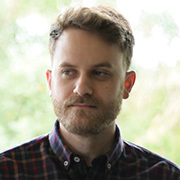 Simon runs a small company called BB Group. Simon and his team have helped with every step along the way and have been very accommodating to our requests and feedback. I've received a lot of praise from people over the years about Act of Treason. At the time I rarely took down formal notes or saved the messages I'd received, which is rather unfortunate. Below is a showcase of some of the more candid responses I've received that I managed to save, as well as some of the more traditional feedback that I receive from surveying player responses. "So I played Act of Treason with Tyson and some people from work last night and it is EPIC. Like I forgot how great it is!!!" "I just want to say congrats for sticking with the concept, and I can verily say that the game is excellent." "I really love this game. It's always good fun to play! It's way better than Avalon and has more dimension. I highly recommend it!" "I think I would go as far as to say it is my favourite of that genre"
"Act of Treason is by far my favourite board game. You need to influence, beg and even force people to align with you. Then just when everyone trusts you and is in alignment, you blind side them as a Traitor. That is AoT." Josh, Chris Sharpe, Ry, Tremaine, Lex, Tegan, Sarah, Brin, Logan, Todd, Cameron, Richard, Tim C, Chris S, Lindsay, Steve, Tim U, Karina, Phil, Walter, James H, Amelia, Liss, Toni, Sanwarnee, Amy, Pete, Katie, Hanna, Mark, Andrea, Ben, Kelvin, Keith, Leanne, Joel, James S, Simeon, Jason, Josh C, Anna, Elliot, Campbell. Thank you for your help and advice: Daniel Haddock, Christopher Paulin, Isaac White, Shem Phillips. Act of Treason is not quite ready for purchase. But in the mean time if you’d like to try out Act of Treason you can! Just sign up to the mailing list below, and we’ll email you a link to the Print and Play. 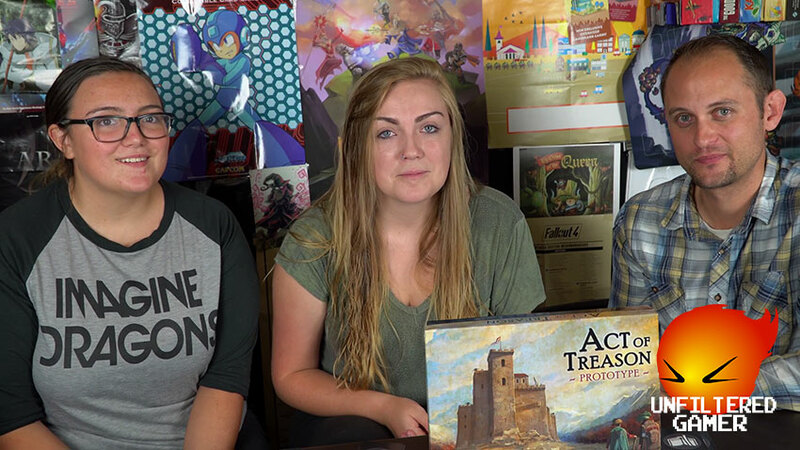 Sign up to the Act of Treason mailing list below to stay informed of when Act of Treason is ready for launch on Kickstarter. It also helps us to track how many people we have interested for the launch. Act of Treason won't launch until we have at least 1,000. So be sure to sign up!